All Posts / Our Championships / 2019 New Holland Canadian Juniors headed to Prince Albert, Sask. 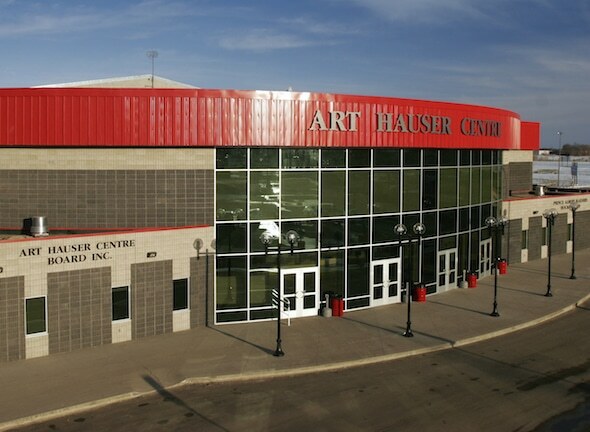 The Art Hauser Centre in Prince Albert, Sask., is the host arena for the 2019 Canadian Juniors. The 2019 Canadian Juniors will be played Jan. 19-27, and co-hosted by the Art Hauser Centre and the Prince Albert Golf and Curling Club. It will be the second Canadian Juniors sponsored by New Holland, a world leader in the manufacturing and selling of agricultural and construction equipment. It will be the second time the Canadian junior championships has been contested in Prince Albert; in 1987, the first year the Canadian Junior Men’s and Women’s Championships were combined into one event, New Brunswick’s Jim Sullivan and B.C.’s Julie Sutton came out on top. 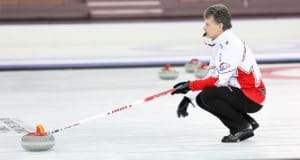 Prince Albert also has hosted the Canadian Mixed Championship twice — in 2005, won by Newfoundland/Labrador’s Mark Nichols and in 1984, won by Saskatchewan’s Randy Woytowich — as well as two editions of the Canadian Senior Championships. Saskatchewan’s Eugene Hritzuk won the men’s title and B.C.’s Pat Sanders won the women’s title in 2008, while in 1972 it was Quebec’s Ken Weldon winning the Canadian senior men’s title; the men’s and women’s championships were held in separate locations then. 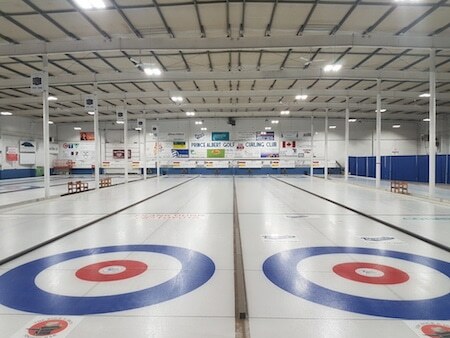 The Prince Albert Golf and Curling Club will host round-robin games during the 2019 Canadian Juniors. The Art Hauser Centre, opened in 1971, is home to the Western Hockey League’s Prince Albert Raiders. Seating 2,580 in its hockey configuration, the Art Hauser Centre will host the men’s and women’s playoff games on the closing weekend. Round-robin games will be played at both the Art Hauser Centre and the Prince Albert Golf and Curling Club, which is celebrating its 50th anniversary in 2018. With 14 teams in each gender (representing each of the 10 provinces in addition to Northern Ontario, the Northwest Territories, Yukon and Nunavut), the field will be split into two seven-team pools. Teams will play a round robin within their pool, leading to a championship pool beginning on Wednesday, which will then lead to the weekend playoffs. Teams that don’t qualify for the championship pool will play a seeding pool to help determine rankings for the 2020 Canadian Juniors (host site TBD). Meantime, non-playoff teams will participate in a mixed doubles competition. Alberta has won a leading 16 junior men’s titles while Saskatchewan is second with 14, the latest being by skip Braeden Moskowy in 2011 at Calgary. In women’s, Saskatchewan boasts a leading 11 victories, the latest also in 2011 by skip Trish Paulsen. 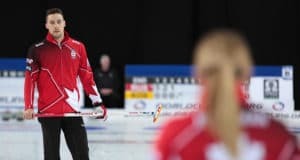 The winning teams in Prince Albert will then represent Canada at the 2019 World Junior Championships, Feb. 17-24 in Liverpool, N.S. 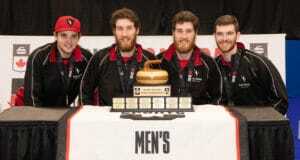 Canada has won a leading 18 world junior men’s titles since 1975 and 11 women’s crowns since 1988. At the 2017 VoIP World Juniors in Gangneung, South Korea, Canada’s Kristen Streifel won the women’s bronze medal while Tyler Tardi lost in a playoff tiebreaker on the men’s side. The 2018 New Holland Canadian Juniors are scheduled for Jan. 13-21 in Shawinigan, Que. The Canadian champs will then move on to the 2018 World Juniors in Aberdeen, Scotland.